Timelines and budgets. These two factors tend to steer the package design ship more often than they probably should. And it makes sense. Getting your products on the shelves and generating revenue from your buyers is paramount. Let’s take a step back for a moment because the best way to get people to buy is to persuade consumers that your product is the best. To do that, you need outstanding product packaging so you stand out on the shelf and give shoppers a reason to buy. Yet conducting hands-on, in-home packaging research is usually out of the question. It’s time-consuming, expensive, and somewhat invasive. Still, uncovering opportunities and customer insights is worthy of investment because the right packaging can strengthen your brand image, boost usage occasions, increase consumption, add value, and ultimately delight your end consumer. It sounds ideal, but how do you do it? 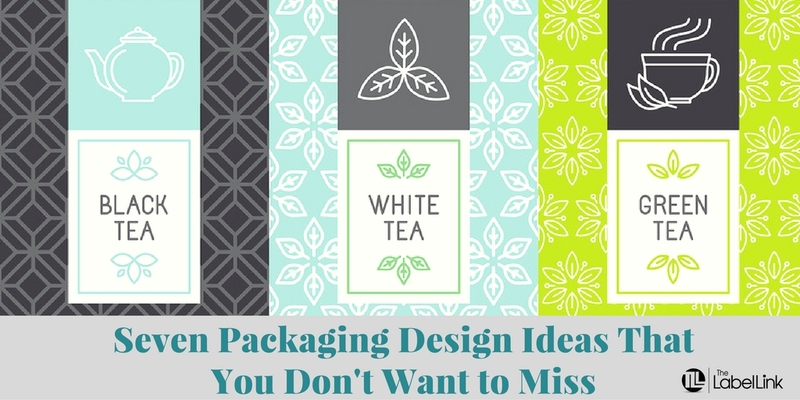 You get packaging design inspiration from the people who know packaging design. Here are our best tips for helping your products get picked up off the shelf more often and consumed more regularly. By pick up lines, we mean the copy and colors you use to communicate your product’s value on the label. Consumers make split-second decisions when they see your product on the shelf. Make sure your coloring is on point and your benefit statements stand out strong enough so that the consumer can quickly differentiate yours from the competition. Do you disrupt the popular beliefs in your industry? Is it easy to see immediately that your product is yours? Prevent any disconnect by focusing on clarity in your copywriting. In addition to having eye-catching designs, you also need to have an eye-catching container. The shape of your bottle can have a tremendous impact on whether or not your product is picked off the shelf. First, consider whether the shape of your container matches your brand. For example, if you sell a cleaning solution, you probably don’t need to put your product in a slim, curvy bottle. Another consideration to make is grab-ability. How easy it is for your consumer to pick up your bottle from the shelf? If you need two hands, your product might not be appealing to a mom who is holding a baby, or a professional whose phone is glued to her ear. Even if your buyer can pick up the bottle with one hand, how does it feel once it’s in her hand? Soft and cozy? Or worn out and rough around the edges? The tactile feel of your packaging matters. Bottle shape and label texture play a big role in how attractive your product is. Have you ever been to a family member’s house for the holidays and seen a beautiful bottle of hand soap in the bathroom that smelled like peppermint and was decorated candy canes? Or have you ever grabbed a tissue off a friend’s coffee table and admired the box it was in? Products, especially consumable products, are often kept out for ease of use. Make the packaging fit in with your consumer’s home decor or seasonal decorations and you’ll give shoppers another reason to choose your product over the competition’s. Put yourself in your customer’s shoes. Is your packaging easy to open? Is it intuitive? If not, a packaging redesign might be in order. Packaging should be intuitive. You shouldn’t need to clutter your label with instructions on how to open the bottle. Instead, keep the end user in mind when designing your containers. People with vision or dexterity challenges should be able to open your product without hassle (unless you’re trying to keep the product out of the hands of children). It’s also important to consider how the product is dispensed. Will it splash out as the consumer pours it? If your product needs to be shaken, does your container risk having the product splash out during the process? Think about the end user’s experience and ensure it’s a positive one with your design. What happens once your product is opened? Do you have to tear the label to access the product, leaving the package looking crumpled or torn after use? Packaging quality counts even after the product is bought and in the consumer’s home as it impacts your brand. Keep it neat from shelf to trash can. If you have a food, beverage, or personal care product, delivering a fresh product is paramount. Moreover, making it easy for your end consumer to keep it fresh is equally important. Consider how your packaging is resealed after each use. Is there waste, or added aggravation that could be avoided? Or do consumers simply transfer your product to another container out of frustration, losing the branding you worked so hard to create? Making your packaging easy to use and reuse helps avoid that frustration and build your branding in the process. Overpackaging is tempting, especially when you’re trying to follow all of these rules. But remember, less is more. This is especially important for consumers who embrace environmentally friendly practices. Consider the packaging inside the product too. Many personal hygiene manufacturers will add packaging to the inside of the box to make it more attractive and add more to their sales message. This isn’t always necessary, especially with food products. Remember, less is more in packaging. Question: What have you done to make your packaging more attractive? Product packaging can have a substantial impact on how the end user views and uses your product. Make it attractive and your product will sit out on shelves instead of getting buried in cupboards or pantries. Make it easy to use and your product will get used more often. If you’re struggling and want more packaging design inspiration, reach out to us. We have a portfolio of ideas we can show you so you can find the perfect look and design for your product.